Harry Edward Kane was born on July 28, 1993, in Walthamstow, district of the London Borough of Waltham Forest (England). The boy's mother is Kim, and his father is Patrick Kane. He has Irish ancestry through his father who is from Galway. Together with his brother Charlie, Kane attended the Chingford Foundation School. Harry told an interesting fact in an interview. He thinks that the sporting genes come from his mother's side of the family, since grandfather Eric was a good footballer, and played at a decent level. The boy was always a Tottenham fan, and he spent his childhood in the house near the White Hart Lane, the stadium in London. Harry’s family also supports Tottenham Hotspur F.C. One day Kane and his friends played football in the courtyard and met Spurs forward Jermain Defoe, who readily agreed to play with the guys and gave autographs. Then the boy hardly thought that in the future he would play with this football player. In his childhood, Harry's hobbies were connected only with football. He collected cards with players. The boy's idol was Teddy Sheringham. Harry was obsessed with football in North London, and he dreamed that one day, people would also admire his play. 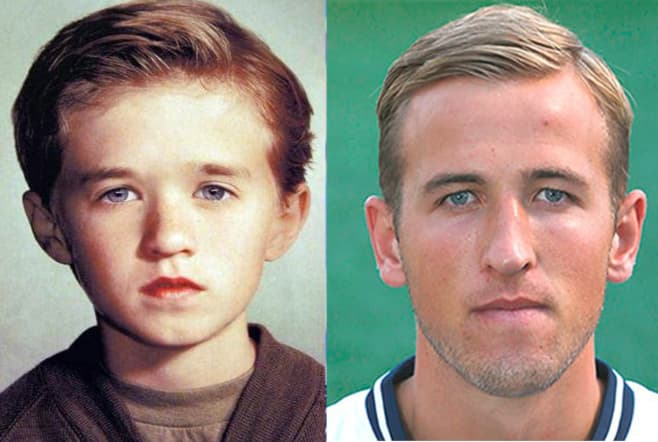 Harry Kane was a student of the Tottenham Hotspur Football Club Academy. He began a football career with 22 games for London Tottenham's under-18s. As a result of the 2009/2010 season, Kane scored 18 goals. At the same time, the striker appeared on the first-team bench twice: in the League Cup fixture against Everton and in in the FA Cup fourth-round replay against Bolton Wanderers. In August 2011, Kane first played in the second leg of their UEFA Europa League qualification round against Hearts. The footballer won a penalty in the 29th minute of this match. In the 2011/2012 UEFA Europa League Harry played in 6 games, 5 of them were a part of the qualification round. The football player made his Premier League debut in August 2012, against Newcastle United. From 2011 to 2013, Harry played for teams Leyton Orient, Millwall, Norwich City and Leicester City on loan. The footballer continued to show good results. On January 1, 2015, Kane scored two goals and made an assist in the game against Chelsea. Thanks to the striker, Tottenham won 5: 3. 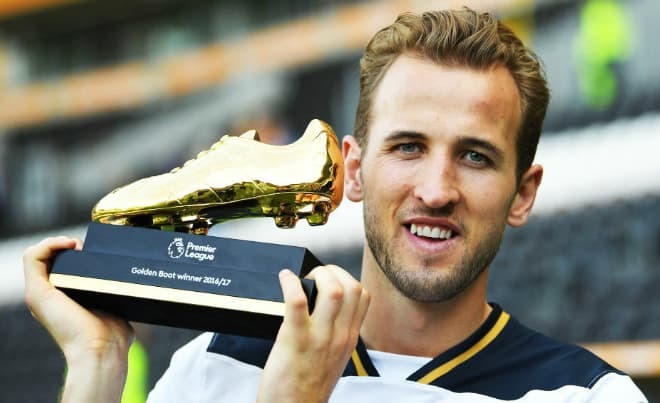 In February 2015, Harry extended the contract with Tottenham until 2020. The football player’s salary is £ 30 000 per week. The start of the 2016/2017 season was unsuccessful. The footballer got injured and was out of action for 1,5 months. 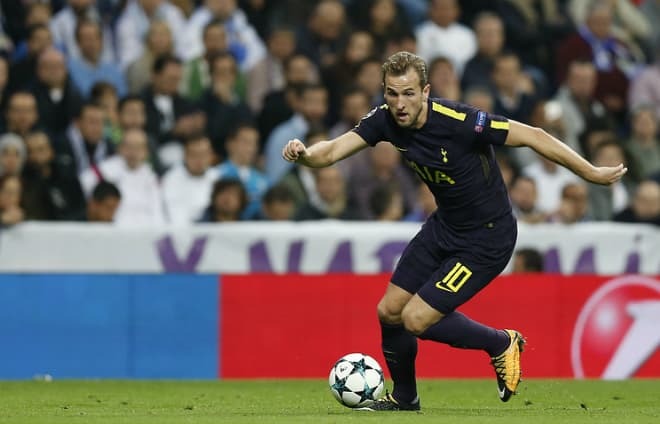 After returning from injury, Kane continued to demonstrate excellent performance. The forward scored 30 goals in 30 matches of the Premier League. Thus, Tottenham was a runner-up in the Championship, and for the first time, they defeated their rival, Arsenal. Will Harry Kane join Real Madrid? December 2017 was significant for the player. Kane scored a hat-trick in the home match in the 20th round of the Premier League against Southampton. Thus, the striker broke Alan Shearer's record for the number of goals per year in the Premier League. In 2017, Harry scored 39 goals in 36 games. Moreover, in 2017, the striker scored 56 goals in 52 games. So, he broke the record of Lionel Messi (Barcelona). Thanks to the outstanding results, Harry attracted the attention of the most famous clubs. There are Real Madrid and Manchester United among them. 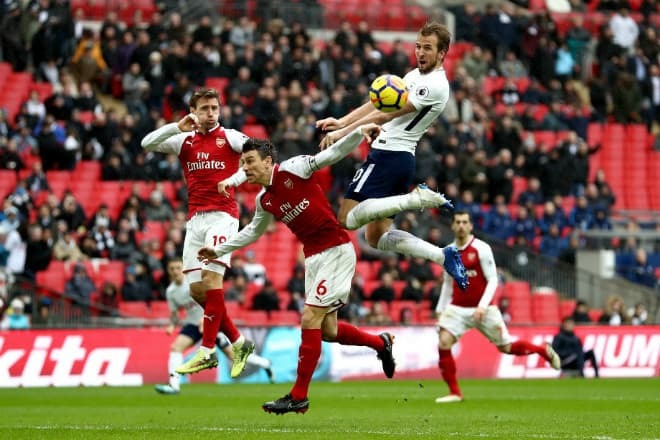 In February 2018, Harry Kane took two penalties in the match against Liverpool. The goalkeeper saved the first penalty, and Harry converted the second kick. The game ended in a 2: 2 draw. The footballer was invited to the England under-17 team in January 2010 for the Algarve Tournament in Portugal. He later moved up to the under-19s and scored two goals in the game against Albania. Kane played a significant role in the England under-19s progression to the semi-finals of the 2012 UEFA European Under-19 Championship in Estonia. The striker scored the winning goal to ensure a safe passage through to the playoffs of the tournament. 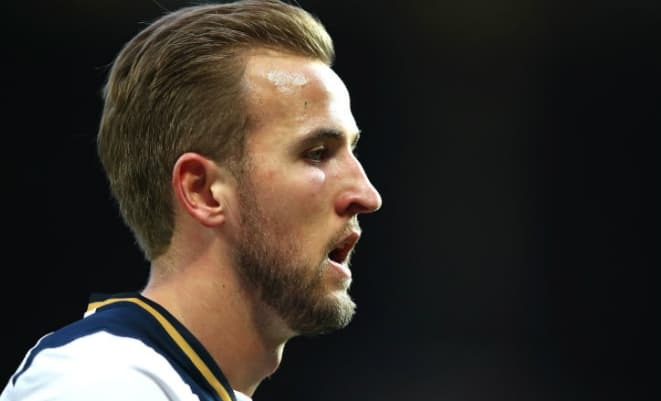 In the spring of 2015, Harry Kane made his debut for the England squad against Lithuania. He came on to replace Wayne Rooney in the 72nd minute and scored just a minute later the first goal for the team. 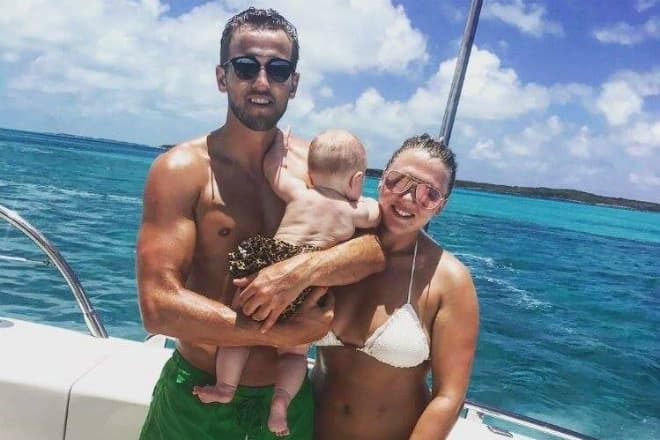 Harry Kane has had the relationships with a girl, Katie Goodland, for a long time. He fell in love with her in his childhood. The footballer confirmed this relationship in the winter of 2015. On July 1, 2017, Kane made her a marriage proposal, kneeling on one knee. Katie agreed and became a bride. On January 8, 2017, their daughter Ivy was born. According to relatives, the family is the most significant thing in Harry’s life. So, the football player can be called a family man. 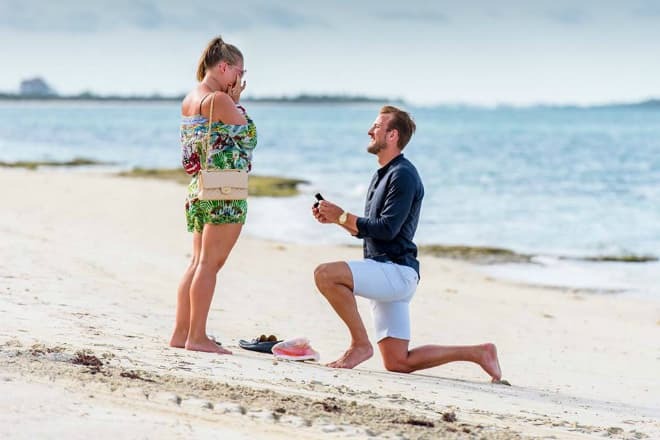 Harry Kane has official accounts on social networks Instagram and Twitter, where he regularly posts photos and videos of different events in his life. According to posts, people can say that Harry’s career and personal life are doing well. Nowadays, the footballer plays for the England national football team at the 2018 FIFA World Cup in Russia. He has captained the team in this tournament. Kane said that the team was warmly welcomed in Russia. It's hard to believe that until this moment the football player has never played in the final rounds of the FIFA World Cup. Nowadays, Harry is keeping his eyes on the prize, overcoming difficulties. In the England national team's match against Tunisia, Harry scored the winning goal with a 91-minute header. Footballer scored both goals, and the FIFA named this goal as the best moment of the day. It was a significant victory for the national team in the opening match. There is an interesting fact that attracted the attention after Kane’s excellent performance in the match against Tunisia. The combination of the name and surname of the striker sounds in English as "hurricane." After the match, the striker mentioned that this victory was significant for him, especially after the disappointments at the UEFA Euro 2016. Harry has recently got a release clause. According to some reports, the London club added a considerable sum of € 227 million in the contract. The Tottenham forward surpassed Cristiano Ronaldo, the most expensive footballer of 2017. If any club wants to buy Kane at this price, Harry’s transfer fee will break the records of Paul Pogba and Gareth Bale. In June 2018, Tottenham announced on the official website that the club extended the contract with the striker. The football player signed the contract till the summer of 2024. As for the financial matter, it has remained unknown. The player’s height is 188 cm, and the weight is 86 kg. Harry's number in the England national team at the 2018 World Cup in Russia is 9, but the forward usually wears number 10 T-shirt.